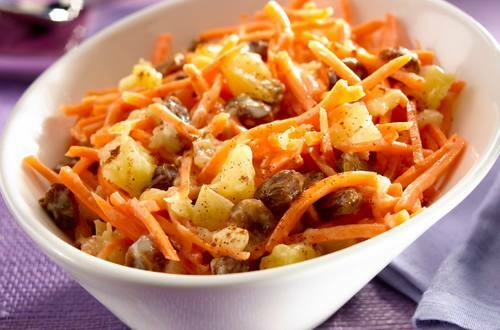 Carrot and pineapple salad isn't the most well known salad archetype, but it's a tasty one! Carrots, pineapples, raisins, and mayonnaise come together to create this refreshing summer salad! 1 Combine Hellmann's® or Best Foods® Light Mayonnaise with cinnamon in medium bowl. Stir in carrots, pineapple and raisins. Chill until ready to serve.